Flood Fire Pro is the premiere choice for professional repair, remediation and restoration services. 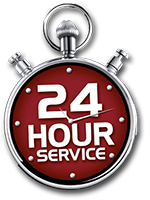 Flood Fire Pro offers a wide variety of great services that are available 24/7. We have more than 30 years of experience handling emergency restoration work and all of our trained technicians have Institute of Inspection, Cleaning, and Restoration Certifications (IICRC). We proudly serve the Boston area. There is no job too big or too small for the team at Flood Fire Pro. Let our 30 years of experience work for you as we handle your water restoration, fire repair or flood restoration project. Contact Flood Fire Pro at any time for all your emergency water restoration, fire restoration and flood repair needs. Flood Fire Pro is located at 852 Upper Union Street, Franklin, Massachusetts 02038. Call us today at 800-446-3776.